Natural hormones are chemical messengers that communicate even the most basic of bodily functions. They let your brain know when your body is tired, in pain, or in need of food. However, during menopause, hormone levels can fluctuate, causing an imbalance. The majority of women experience menopause symptoms due to these changing levels. While menopause symptoms can be uncomfortable and worrying, the real battle lies in trying to find a cure for the hormonal imbalances. There are a lot of treatments available; however, some have not been fully tested and can even do your body harm. One treatment that studies have indicated is successful in the helping to combat menopause symptoms is bioidentical hormones. Read on to learn about how this medical technology is made. Hormones are natural chemicals that help to keep your body regulated. They are involved in lots of the different functions in your body, including sodium retention, fluid retention, and the menstrual cycle. However, they can only do their job properly when they are balanced and working in sync with each other, so when they often fluctuate during menopause, it can make your body behave in unusual ways, which can result in menopause symptoms. Many treatments exist to try to counteract the imbalance, such as bioidentical hormones. Read on to learn how bioidentical hormones are made. Bioidentical hormones are scientifically engineered hormones. 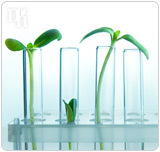 They start life as compounds that are extracted from plants. These compounds are similar to hormones at a molecular level, but they require some tampering to be ready for use in the human body. However, once complete, they are can be administered to a patient. Studies have shown that they can be effective at combating hormonal imbalances. However, there is a catch; read on to find out more. Although studies have suggested that bioidentical hormones can be effective at managing menopause symptoms caused by hormonal imbalances, there are some side effects linked to their use. Common side effects found in patients using bioidentical hormones include vomiting, nausea, and headaches. However, less common but more severe side effects include heart attacks, acne, and cancer. Before starting any treatment, it is important to talk to a licensed health professional, who should be able to assess whether the benefits in your case outweigh the risks. Click on the following link to learn about a completely side effect free alternative to bioidentical hormones.